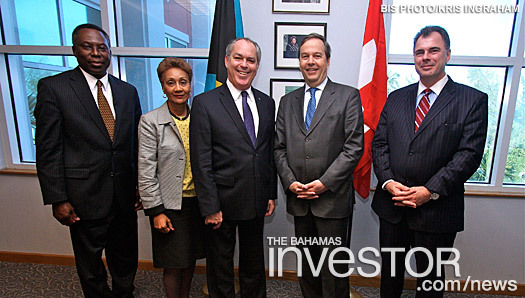 The Bahamas and Switzerland are seeking to enhance diplomatic ties in the financial services sector. 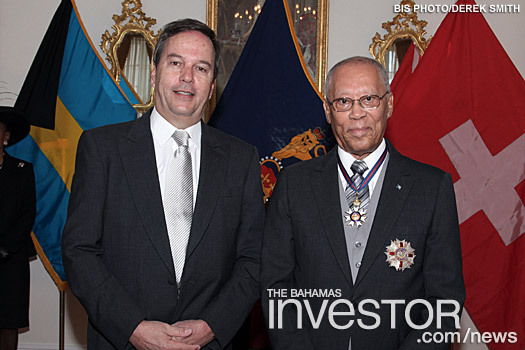 Sir Arthur Foulkes, Governor General, made the statement as he accepted Letters of Credence from Ulrich Lehner Ambassador of the Swiss Confederation to The Commonwealth of The Bahamas. 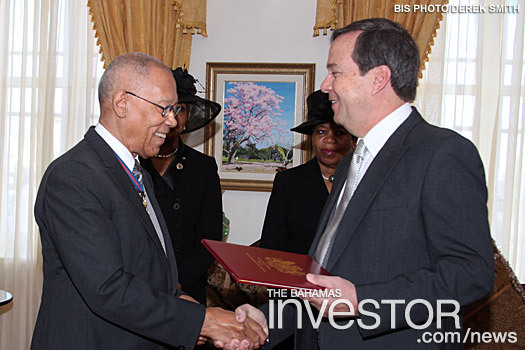 The Presentation of Letters was held during a ceremony at Government House on March 29, 2012. The Bahamas and Switzerland established diplomatic relations in 1974, and have shared interests in international financial services and tourism. 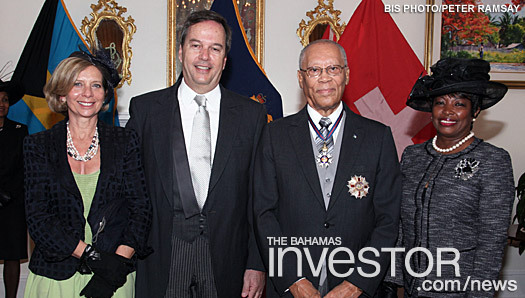 Switzerland is the fourth largest import trading partner of The Bahamas, as of December 31, 2010 and its largest European trading partner. 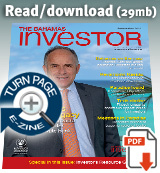 The Bahamas has maintained relations with the Swiss regulators, the Swiss Financial Market Supervisory Authority (FINMA), where The Bahamas subscribes to and promotes the need for a sound banking and regulatory environment as set for in the Basel Core Principles for effective banking supervision. 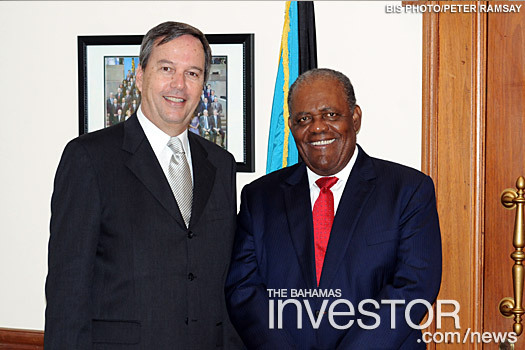 The Bahamas also hosts offices for Switzerland’s two largest banks: UBS AG and Credit Suisse. Ambassador Lehner pledged to continue to promote cordial relations between both countries. Ambassador Lehner, 58, has served in various diplomatic posts in France, Rome, Monaco and Ottawa, Canada. He started his career in the Foreign Service in 1979. The BTC Love Rush held in Abaco every year is bringing added tourism revenue to the island during slow periods, according to Winsome Ferguson, manager, Ministry of Tourism, Abaco. Watch a video of the event and interview with Ferguson here.